DEARBORN, Mich. – Porsche brought its traveling road show to Detroit this past week for journalists to sample its two newest entries, the 911 Carrera 4S and 911 Targa. The former sports the wide-body stance and most of the style and content of the vaunted 911 Turbo at a much lower price. 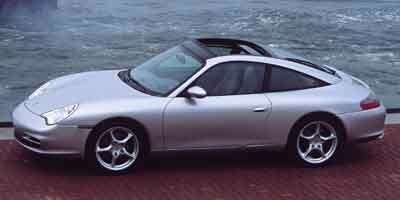 The latter updates Porsche’s sliding glass roof panel concept first offered in 1996. The $80,200 Carrera 4S looks like the $115,000 Turbo, minus the Turbo’s side air intakes and rear wing – and, of course, its 415-hp twin-turbo engine. 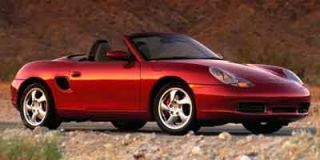 Still, the enlarged 3.6-liter, 320-hp horizontally-opposed six common to non-turbo 911s for 2002 provides plenty of punch. Not only is this latest development of Porsche’s venerable rear-mounted “boxer” engine up 20 hp over last year’s, its peak torque is boosted 15 lb-ft to 273 and available lower in the rev range at 4250 rpm vs. the previous 4600 rpm. This results in more available torque at lower rpm for stronger acceleration in any gear, impressive 5.0-sec. 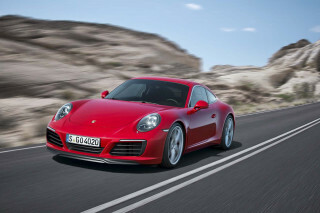 0-60 performance and a top speed of 174 mph, according to Porsche. Replacing the 911 Carrera 4 Coupe, the 4S also share’s the Turbo’s all-wheel drive system, which sends 5-40 percent of available torque forward to the front wheels depending on traction and power applied, and its Porsche Stability Management System (PSM), which detects a loss of traction front or rear and applies braking to individual wheels and can alter engine power momentarily to enhance stability. Other luxury features shared with the Turbo include fully power-adjustable leather seats (with a driver’s side memory feature), programmable remote entry and no-cost metallic paint choices. The 4S wears the Turbo’s aggressive face with large front brake air intakes, and you’ll have to look closely to notice its slightly different front spoiler. In back, instead of the Turbo’s big bi-plane wing, it shares the non-turbo 911s’ automatic-deploying rear spoiler, plus its own unique glass-reinforced plastic decklid and red reflector strip connecting the taillamps. 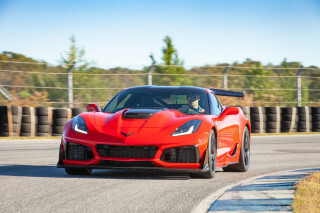 Underneath are the Turbo’s full performance suspension, 13-inch vented, cross-drilled four-wheel disc brakes and massive wheels and tires: 225/40 ZR18s on 18 x 8-inch turbo alloy wheels in front, 295/30 ZR18s on 18 x 11-inchers in back. 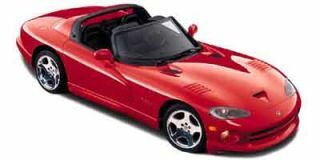 The 2002 Targa brings back the large power-operated sliding glass roof first offered in 1996 and 1997. Driven by two electric motors, it silently slides under the rear window to open a five-foot square section of sky, nearly twice the area of the other models’ standard sunroof. While this tinted sliding section reduces sunload and filters out 90 percent of UV rays when closed, there is also a cloth shade that automatically extends beneath it. The first 911 Targa, named for Sicily’s famous Targa Florio road race, came to the U.S. in 1967. It featured a removable roof panel over the cabin to provide open-air motoring. As the 911 Cabriolet convertible was introduced and gained popularity in the 1980s, the Targa concept was rethought and redesigned. 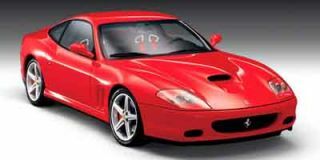 This new version – essentially a Carrera Coupe with a very large glass sliding sunroof -- provides a large open area with less noise and turbulence, partly due to a flip-up forward wind deflector, and little loss of structural integrity. 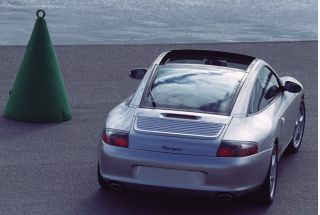 All 2002 911s benefit from a strengthened body structure, and the Targa incorporates specially reinforced A-pillars and roof rails. One important new Targa feature is the 911’s first-ever hinged rear window hatch, which swings up for easy access to the rear luggage area. With its rear seatbacks folded down, the Targa offers slightly over 8 cu ft of storage vs. the coupe’s 7.1. Like the 4S and other 911 models, the Targa’s 3.6-liter six is coupled to a choice of standard six-speed manual or optional Tiptronic S five-speed automatic. Slightly heavier but more aerodynamically slippery than the 4S, the Targa is about a tenth slower 0-60 but 3 mph faster in top speed, Porsche says. Priced at $75,200, the Targa (like its 2002 911 Carrera stablemates) features a new swing-out cupholder and lockable glovebox, automatic climate control with redesigned center vents, AM/FM cassette stereo radio, one-touch power windows, heated power sideview mirrors, power seat recliners, a new three-spoke steering wheel on a telescoping (but not tilt-adjustable) column, a multi-function trip computer, door-mounted side airbags and a transponder key anti-theft system with immobilizer, remote control and alarm. 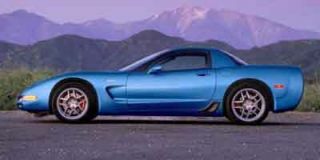 Wheels are 17 x 7-inch front, 17 x 9-inch rear, with 18-inchers optional. The PSM stability management system and a new Bose audio system – specifically tuned for each model’s cockpit characteristics -- are also optional. On a cool, cloudy spring day, we had the opportunity to try each of these new models on Detroit’s moon-crater freeways and curvy country roads, but (regrettably) no chance to drive them especially fast or aggressively. As expected, the Porsche’s highly sporting suspension and tires deliver a reasonable ride, with road impacts felt but sufficiently damped, and glued-to-the-road cornering even under strong acceleration. 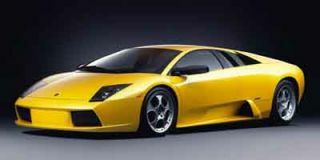 Exhilarating acceleration and (when necessary) braking were readily available underfoot. Perhaps most surprising was the super-sweet feel of the manual six-speed shifter despite the transmission’s remote rear location. Once ergonomically challenged, Porsche cockpits are now fairly well arranged for comfort, convenience and serious driving. Location of the ignition switch left of the wheel takes some getting used to, the radio controls are tiny and marked with indecipherable icons and letters, and we missed having an electronic compass (now common to many, even mid-range domestic models) to keep us on track. Road and wind noise intrude at freeway speeds, but the Targa’s roof-down turbulence at cruising speeds was surprisingly low. Rear visibility is limited through the two layers of tinted glass (roof and rear window) when it’s down, however. Porsche enjoyed its best 911 sales year ever in 2001, with more than 10,000 delivered. With seven distinct models for 2002 – including the standard Carrera Coupe and Cabriolet, the AWD Carrera 4 Cabriolet, the Targa, the 4S, the Turbo and the $179,900, 456-hp, Turbo-based GT2 introduced last fall – it expects to do even better before this new year is done.